Dog waste on San Francisco’s charming streets is still a part of the au natural landscape, as we’ve all noticed as we walk the city’s sidewalks or paths. Not all pet owners are law abiding citizens (and there is a law called the Scoop the Poop Act of 1978—introduced by the late Harvey Milk) when it comes to poop capturing, and there’s really pretty lax enforcement for this law. 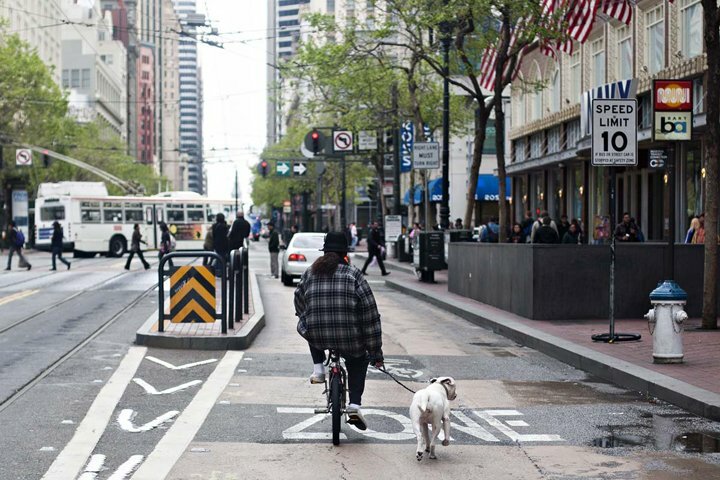 And we can’t blame the pooches—all 200,000 of them in SF. Now, coming to the rescue is POOP, the Pet Owner Outreach Program, the amusing acronymic brainstorm of SF Supervisor Katy Tang. The program is set up to give away dog waste bags and a bag dispenser to every new dog adopter from the San Francisco Animal Care and Control (SFACC) and the San Francisco SPCA. Harnessing social media leverage, the campaign is encouraging dog caregivers to use the hashtag#notapoopetrator, and interestingly enough, asking the owners to post photos of themselves picking up their dog waste to social media accounts. Inspiring! But maybe it’ll work.